I'm pretty much done with Far Cry 5 (it didn't hold my attention nearly as long as I thought it would), but I'll be popping in for the wacky expansions day and date. 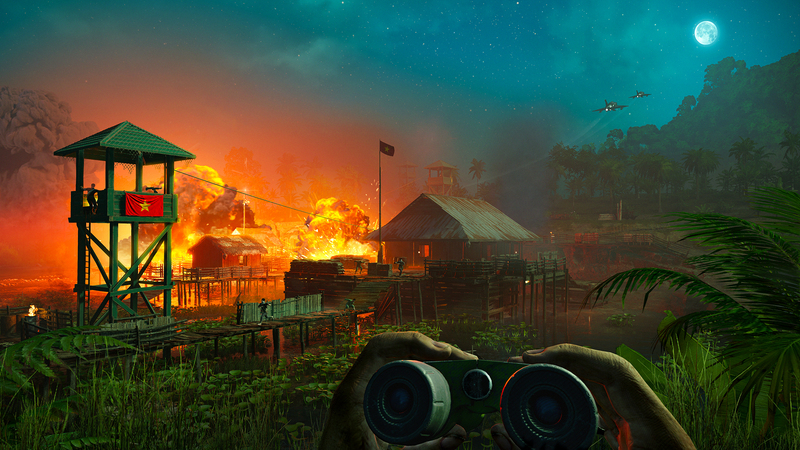 If you recall, Ubisoft previously confirmed three out-there DLCs for Far Cry 5, the first of which is the Vietnam-centric "Hour of Darkness." It's a completely separate campaign (and can be bought standalone for $12), and will "transport players back in time" as "Red Redler," (who was in the core game) a resident of Hope County who is duty-bound to save his squad. New gear is in, as well as additional abilities and two more modes after finishing up the story -- survivor (basically hard mode) and action movie (easy mode with a silly loadout). Next up is "Dead Living" (zombies) and "Lost on Mars" (space). Again, I'm in for all of them.